This should be adequate power for operating the gun mechanism. 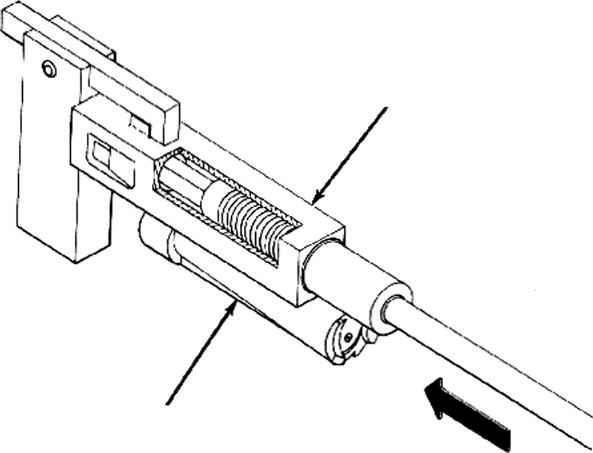 The theoretical curves showing bolt travel and bolt velocity with rcspcct to time for a gun using advanced primer ignition are developed according to the same general principles employed for plain blowback but there are certain differences in the details as a result of the fact that ignition of the primer occurs while the bolt is still moving forward. 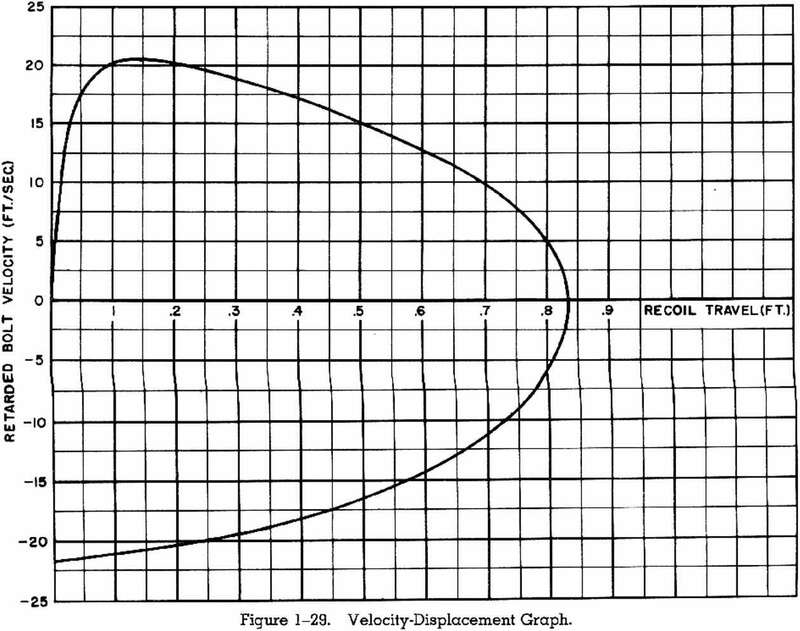 The loss due to the spring constant K, as determined by the method of step 4 is only about 0.19 feet per second. This loss is so slight that it is not necessary to continue the process of successive approximation any further than step 5.